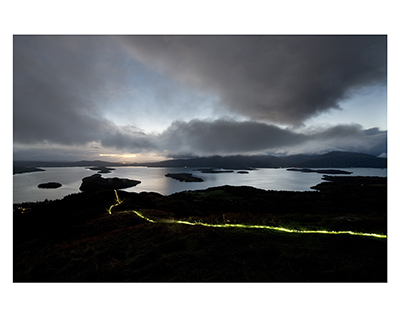 Island Drift was an immersive photographic installation, created in partnership with Loch Lomond & The Trossachs National Park for the Year of Natural Scotland 2013. 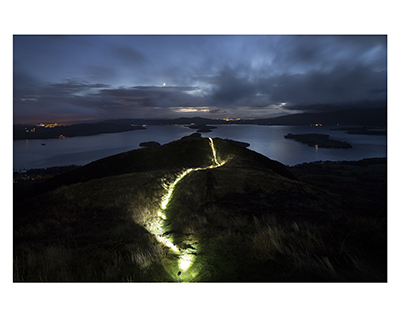 Designer James Johnson and photographer Alan McAteer worked with NVA’s creative director Angus Farquhar and park rangers to manipulate moving and static light sources on land and water. In 2014 Street Level Photoworks presented a number of these works in the exhibition 'Island Drift'. 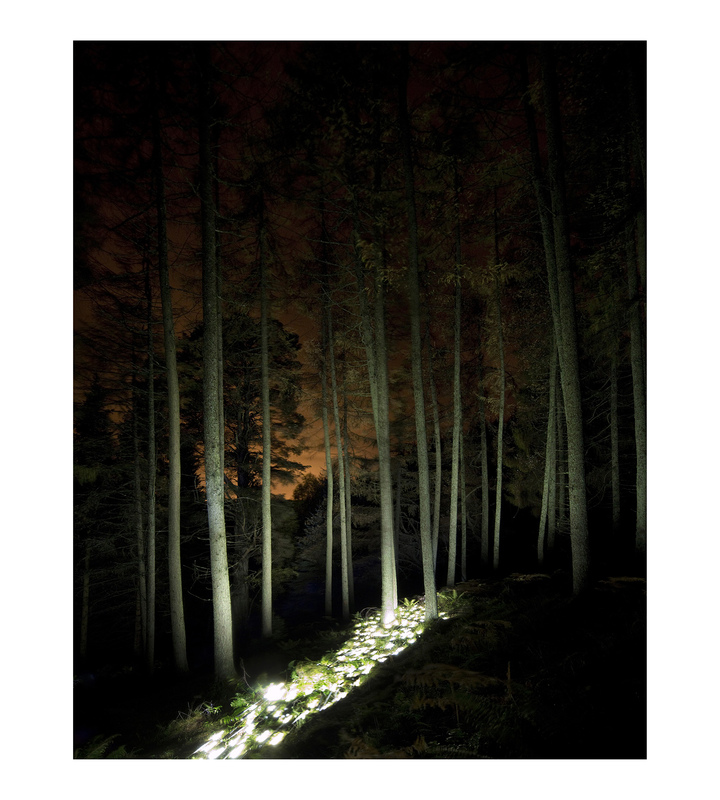 We are pleased to be able to offer these limited edition prints for sale. Each print is part of a limited edition of 15 and comes with a signed certificate of authenticity.